This Sunday, August 28th, CCR will broadcast live from McMahon Park to mark the end of Heritage Week 2016 and the Claremorris Community Arts and Heritage Festival. Our outside broadcast will be on air from 1 to 4pm. Our hosts will be based in the pagoda beside Clare Lake, so feel free to come on down and see live radio being produced! It’s Heritage Week and CCR is doing its bit, as part of the Claremorris Community Arts and Heritage Festival. Every day this week, at 9am, John Farragher will be in studio to inform listeners of the events that are taking place in and around Claremorris on that day. 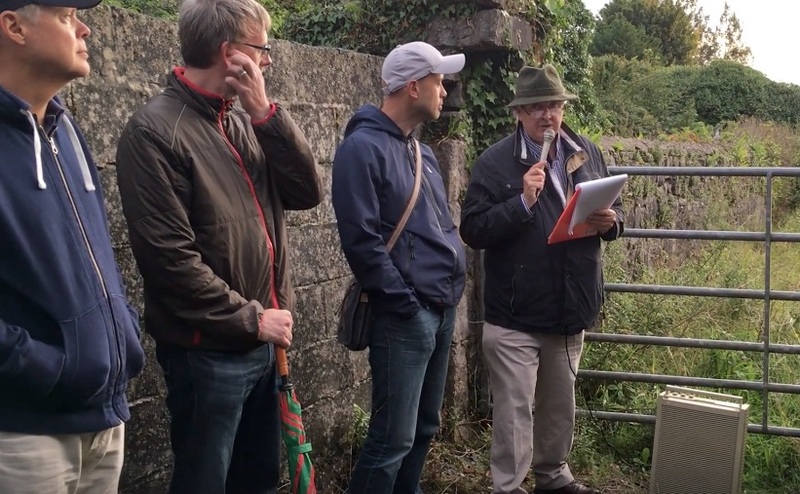 Then, following the end of the Good Morning Show, we are repeating our acclaimed series The Lie of the Land, all about the geographical and geological history of Claremorris, Mayo and the West of Ireland. That’s each day from 11am to 12 noon. On Sunday next, we will be broadcasting live from McMahon Park, as part of the closing day of the festival. Our OB will be on air from 1-4pm. Indeed we are currently seeking volunteers to help with the broadcast on that day. If you are available on Sunday afternoon, please do get in touch with the station on 094 9373737.